Katie Melua has become one of the best-selling British singers. Katie was born in Kutaisi, Georgia, on September 16, 1984. She spent her childhood in Tbilisi and Batumi, where her father worked as a heart surgeon. When Katie was eight the family left Georgia and moved to Belfast, the capital of Northern Ireland, as her father had got a job at the prestigious Royal Victoria Hospital. Five years later they moved to South East London because of her father’s job, and have lived there ever since. ‘I still consider myself to be Georgian, because that is where my roots are. But I am also proud to be a British citizen,’ Katie said. When Katie was 13 years old her dream was to be a politician or a historian. She honestly thought she’d be able to bring peace to the world. When Katie was 15 she won a TV talent competition. Robert Pattinson is a famous British actor, model and musician. His full name is Robert Thomas Pattinson but friends call him Rob. Robert was born on May 13, 1986 in London, England. At the age of 12 he began working as a model. Rob said that success came to him at that age, because he was “quite tall and looked like a girl.” He worked for the modeling agency South China Morning Post Magazine. Robert has two older sisters – Victoria and Lizzy. Lizzy is singer-songwriter, she performed backing vocals for a number of soundtracks for the film Twilight: Breaking Dawn. Victoria, on the contrary, is far from show business, she is engaged in politics, but sometimes appears on the red carpet to support her younger brother. Robert played in the company of London’s Barnes Theatre. His professional career began after a leading role in the play Tess of the d’Urbervilles based on the novel by Thomas Hardy. 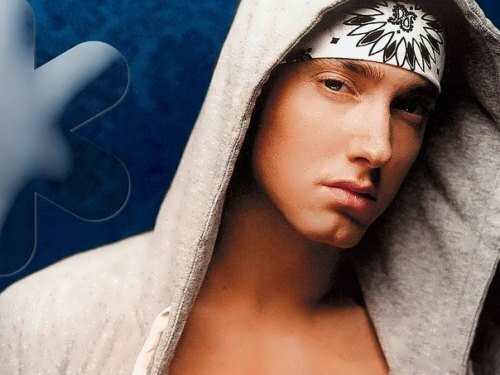 Eminem was born on October 17, 1972 in Kansas City. His real name is Marshal Mathers III. At the age of fifteen he dropped out and soon married his school sweetheart. On December 25, 1995 his daughter Hailie Jade was born. These were hard times for the young couple. Today, Em is rich and famous but he still raps about the days of his unhappy childhood. He says he’ll never forgive his father who left them, penniless, when he was only 6 months old. He had spent 12 years moving with his mother from place to place before they finally settled in Detroit. At the age of 17 he quit the band and moved to New York. In 1909, Ricky went back home to Puerto Rico, where he finished high school. 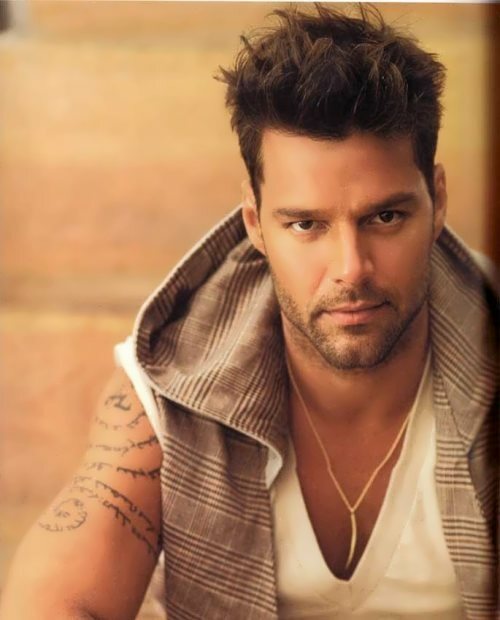 In 1991 appeared his first album. It was an immediate success in Latin America. Two years later, he produced Me Amaras, which was an even bigger hit. 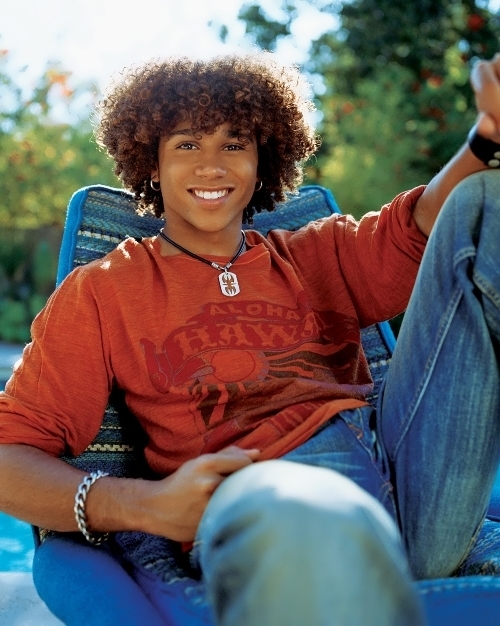 His first 2 albums together sold over 1.5 million copies. In 1994, Ricky joined the cast of the soap opera General Hospital. He also played the part of Mario in Les Miserables, a Broadway play, based on Victor Hugo’s famous novel. 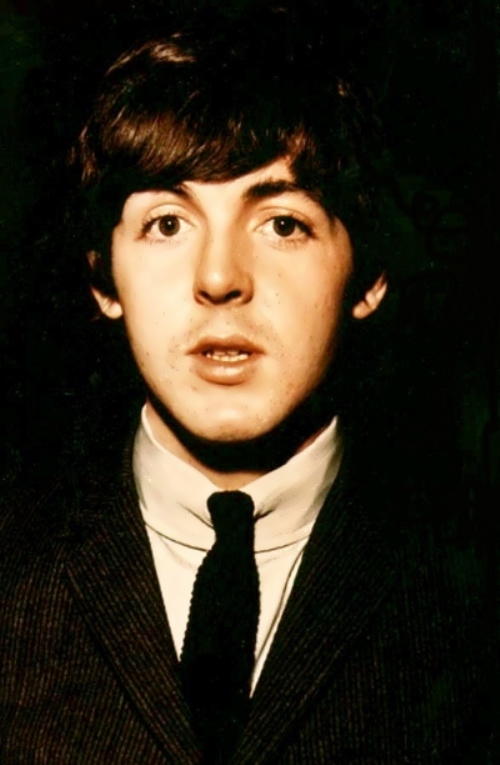 Paul McCartney is a British musician, multi-instrumentalist and producer, one of the founders of The Beatles, 16-time winner of Grammy, Knight Bachelor, Member of the Order of the British Empire. Paul McCartney repeatedly included in the Guinness Book of Records. His musical career has lasted for nearly forty years and today he is one of the world’s most famous musicians. Sir James Paul McCartney was born on June 18, 1942 in Liverpool. He is one of the founders of The Beatles. In 2011, he was recognized as one of the best bass players of all time according to Rolling Stone magazine. The duo Lennon – McCartney has become one of the most influential and successful author unions in the history of modern music. McCartney is included in the Guinness Book of Records as the most successful musician and composer of the modern history. In the summer of 2002 Sir Paul McCartney performed All You Need Is Love in front of the Queen. Paul started dating girls, when he became a musician of The Quarrymen. One of his first girlfriends was named Leila (strange name for Liverpool), another close friend, Julie Arthur, was the niece of actor-comedian Ted Ray.